“Fara did an amazing job staging my house and proactively marketing it with open houses to ensure a quick sale! She is creative, hard working and will always return your call, e-mail or text promptly. 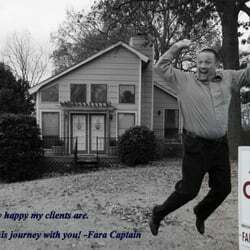 I definitely recommend Fara for all of your real estate needs!”- as found on Yelp.